Those diacompe cantis were actually a pain to setup. It came with the proper Diacompe 289 levers and still had poor stopping power. I think the rims were too narrow so I swapped them out for the older wide profile Shimanos and it was fine. 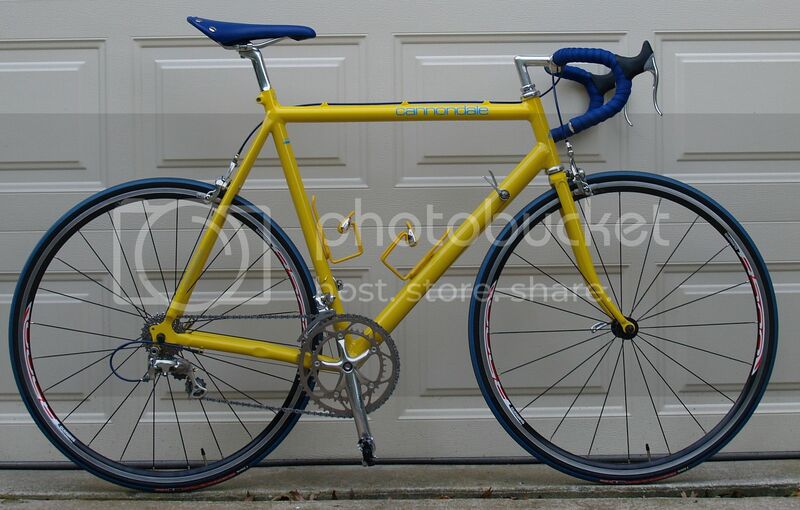 Yeah if I had canti studs as an option I would get one of the newer options available now. Proper setup is key to their stopping power. V-brakes are supposedly superior to cantis but they don't look nearly as good. 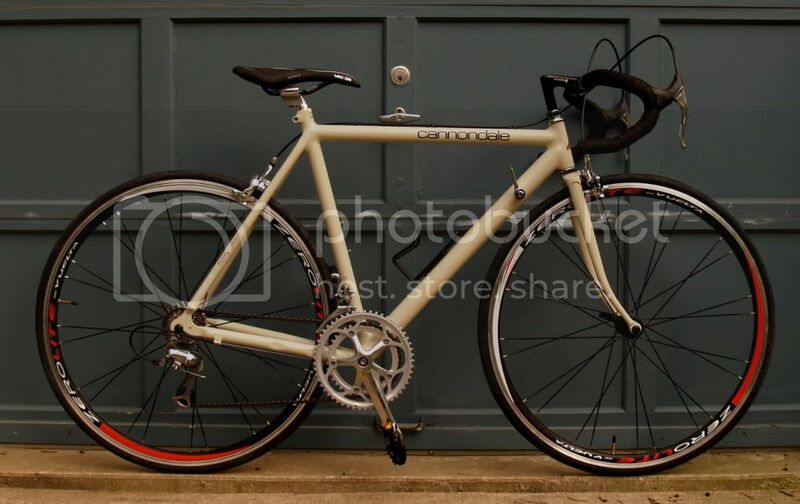 Hope pictures will appear of some of the more obscure Cannondale models. 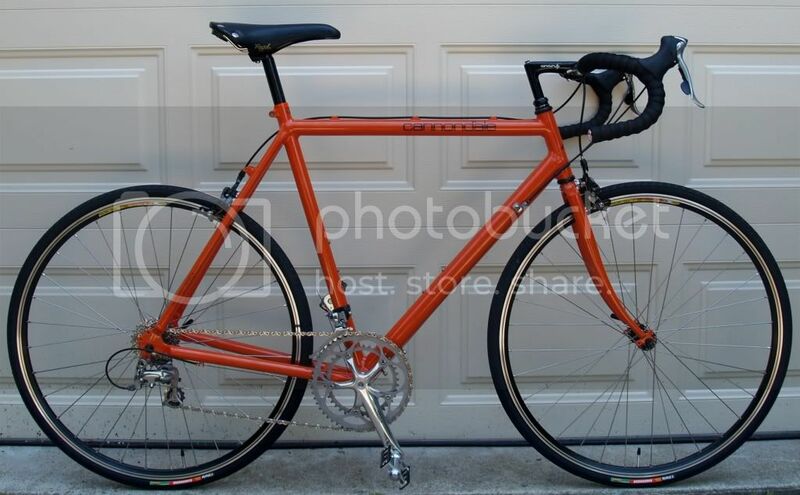 It's been a long time since I last saw one of their touring bikes that came with a two-chainring half-step setup. The reasoning behind the setup was sound---13-to-32 sprockets with 50- and 45-tooth chainrings (going by memory) for perfectly stepped gearing. But store owners didn't want bikes on the floor that required half-step-gearing seminars. So that model disappeared in a hurry. 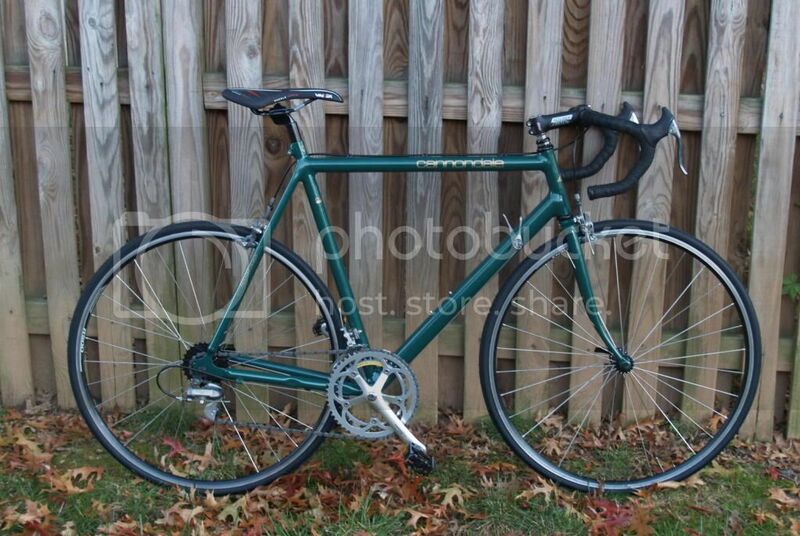 Also looking forward to seeing pictures of Cannondales from the year of wavy frame tubes. They were having trouble with their new heat-treating process, so we were told. The frames were perfectly aligned, evidently, but looked, shall we say, semitumescent. So they did customized quasi-psychedelic paint jobs to divert the eye from the waywardness of the tubes. Some dealers refused to buy any, but we managed to sell some. Another forgotten Cannondale innovation: in the era when most production bikes came in frame sizes with two-inch increments, Cannondale introduced much more useful sizing for their racing bikes, with 2-cm increments for the larger and smaller frames and 1.5-cm increments of 53, 54.5, and 56 cm (again going by memory) for the middle sizes. It was as close to custom sizing as you could get. Last edited by Trakhak; 09-21-15 at 04:54 PM. My 1987 SR500. I powder-coated the frame gray and textured black for the fork. Mostly Shimano 600 groupset. 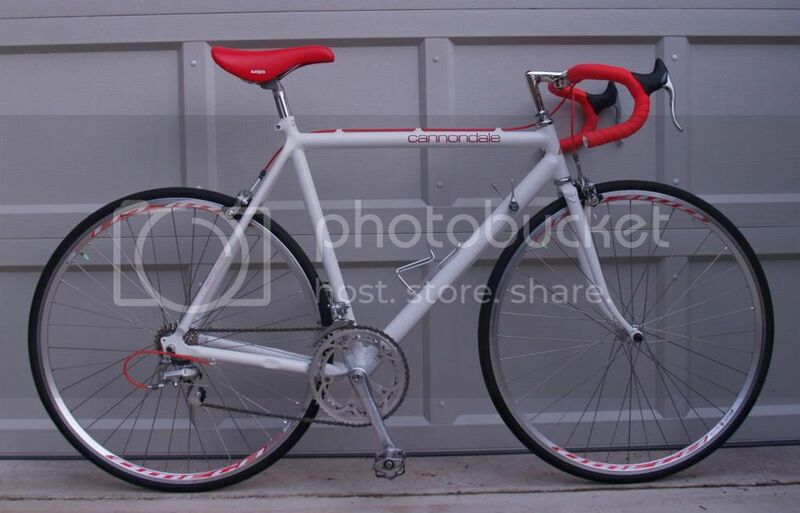 The handlebar, crankset, and wheelset are from a donor. 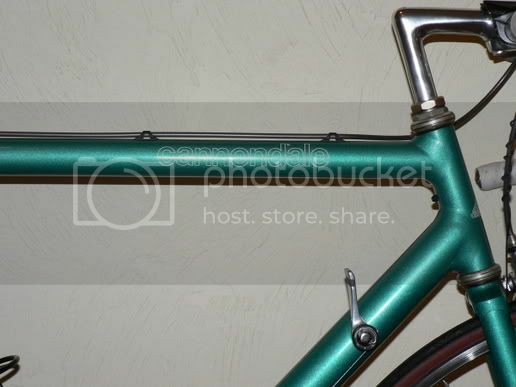 Did you run the rear brake cable through the top tube? Good eyes! Yes I did. How did that turn out? Can you describe your process? Classy bike, love the color! Thank you. I basically made a hole on each end and threaded through it. If I could make it more entertaining I would. 2 questions if you please. Did you fill the cable guide holes or leave them? And do you get a rattle from the cable when hitting bumps and what not? Thanx. 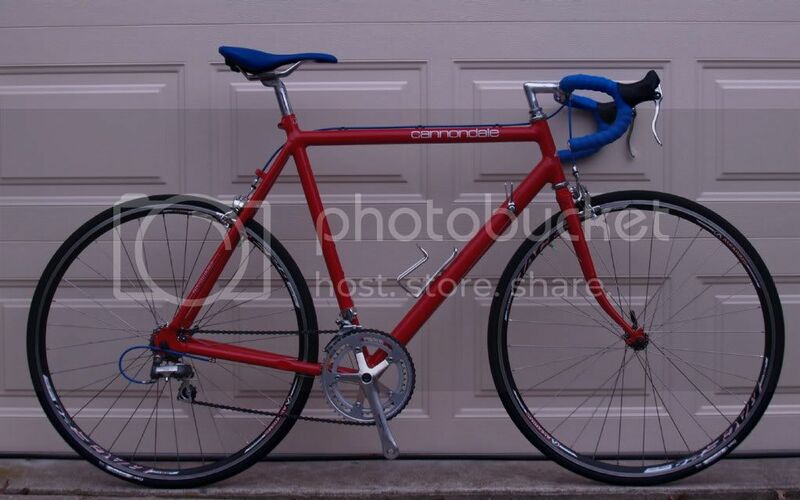 1993 Cannondale H 400. 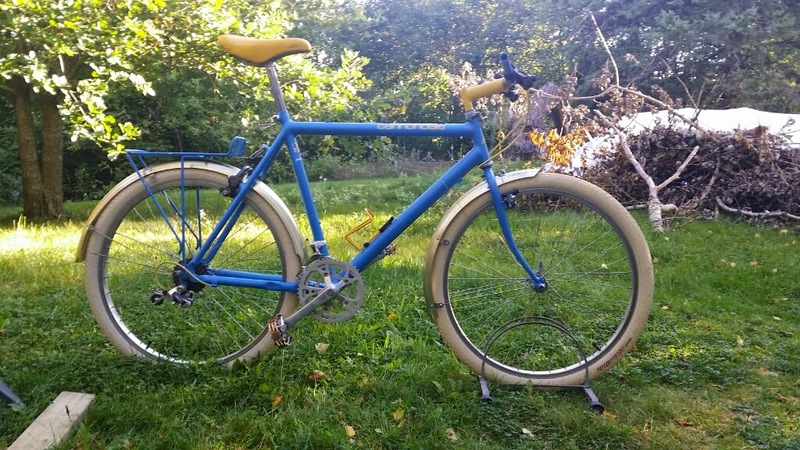 My commuter bike for two years. I was too big for me but served me well. Now with a relation, sitting in their garage. I may just go and get it one day. When I drilled I specifically picked a size to closely match the circumference of the cable. It was painful, to say the least, threading the cable through. It doesn't rattle at all and since it is close enough to the size of the cable there was no need to fill it. It looks very clean and functional. This is so cool looking! Stunning! Can't wait to see the final build out! Did you fill the holes on top the tube where the plastic guides plugged in? Yeah we're gonna need some pics of that. My 1985 SR600. 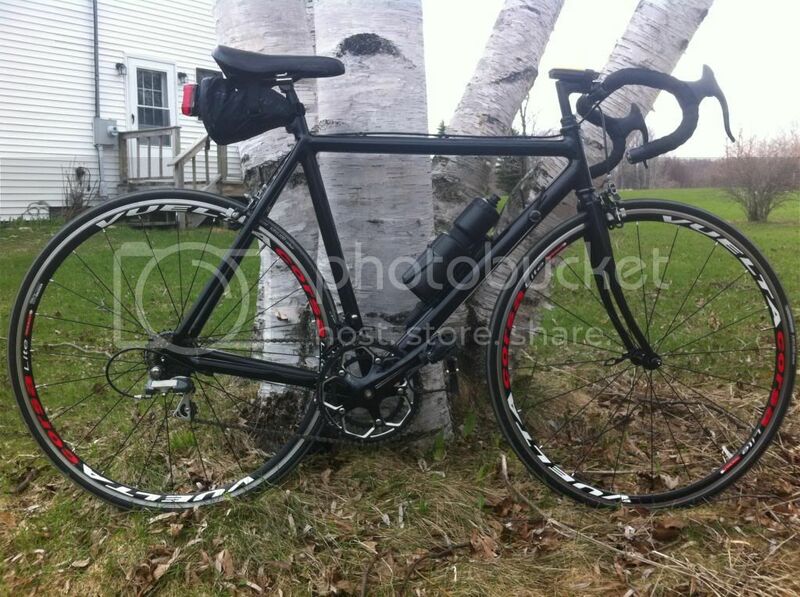 I built it up with Sun Tour Superbe Pro index, fun bike to ride!! Thanks, that's the factory paint. 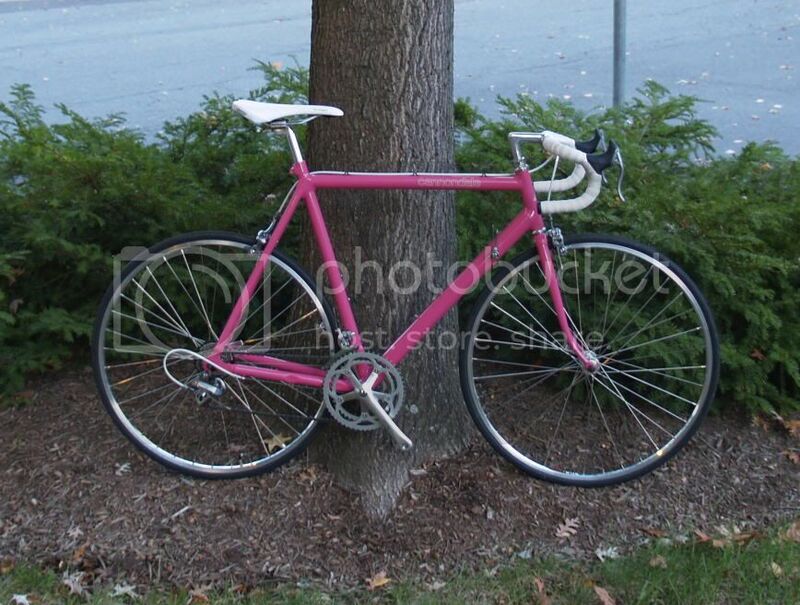 2000 R600 Single-Speed. Built to the wife's specs. 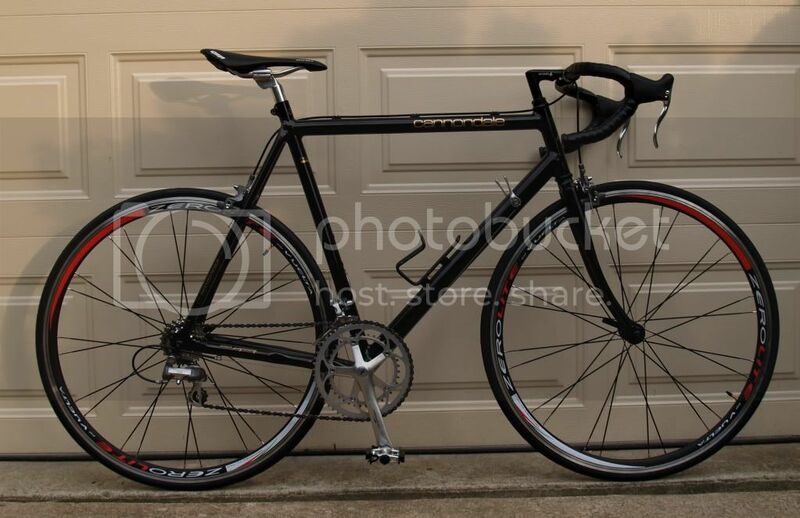 I always liked the cannondale track bikes. Would love to own one. 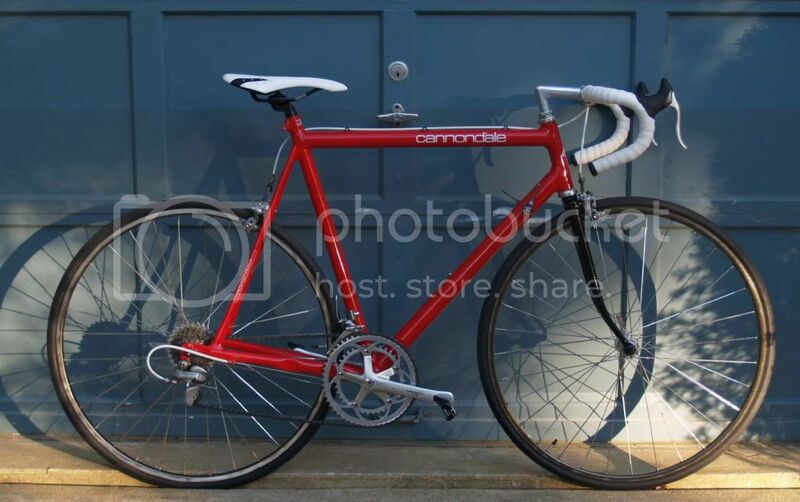 While C&V is mostly about the romance of lugged steel beauties, many of us have a soft spot for vintage Cannondale bikes. 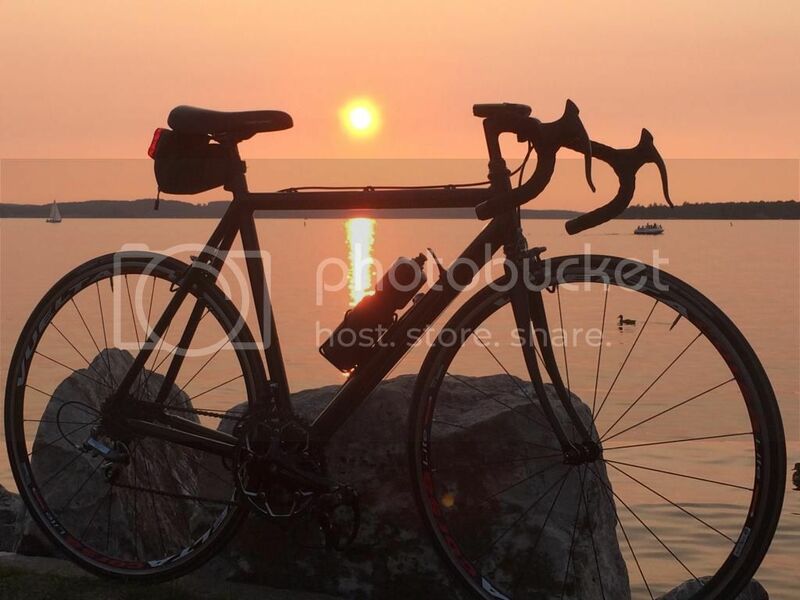 There have been scattered photos of bikes that look like they just came off the showroom floor and others that have been highly modified and updated. 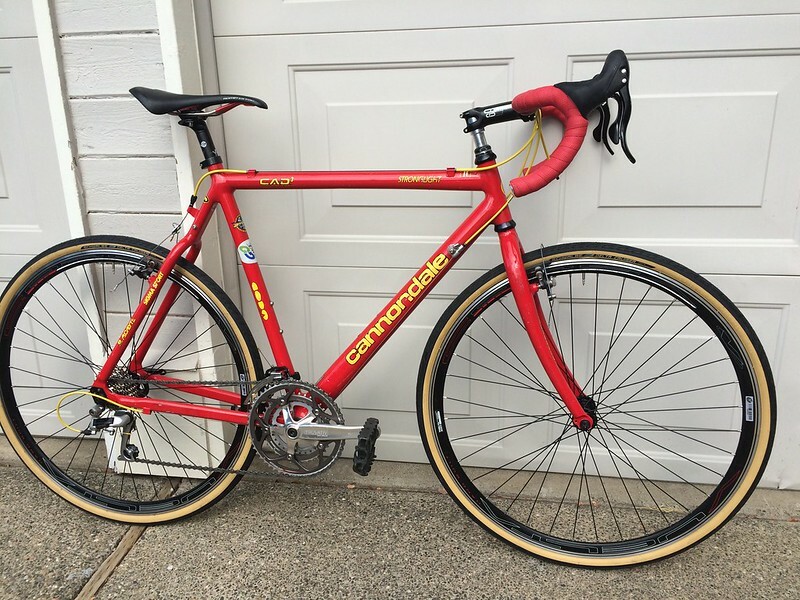 Let's limit this thread to Cannondale's at least 10 or more years old. The newer versions are covered in the road bike forum. For me, it was a 3yr search for an affordable Black Lightning. The elegantly villainous looks grabbed my attention but it was the reports of a brutally honest (stiff) frame and criterium geometry. 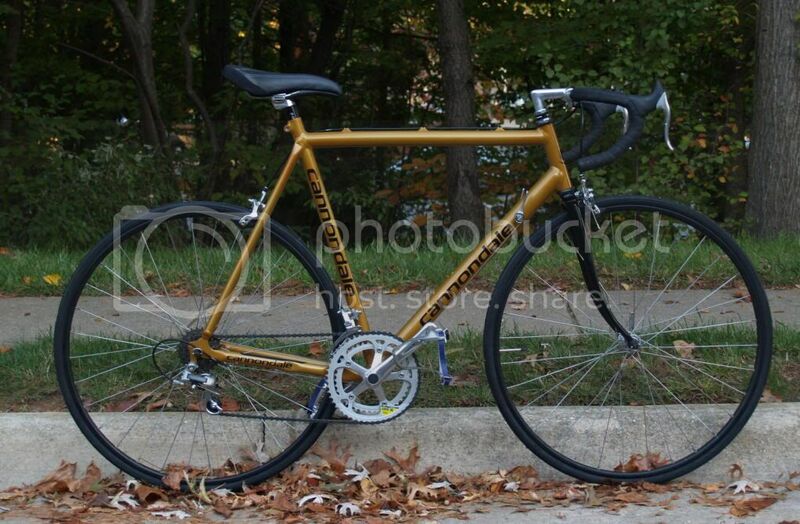 The spring of 2014 I nabbed an '88 Criterium Series frameset of exact fit and immediately began a repaint with a black/gold metallic paint. The build took 2 months and with a Vuelta Corsa Lite wheelset to top it off. A Shimano tricolor 600 with indexed 7-speed shifters commanding the 12-28 HG cassette makes gear changing flawlessly quick. 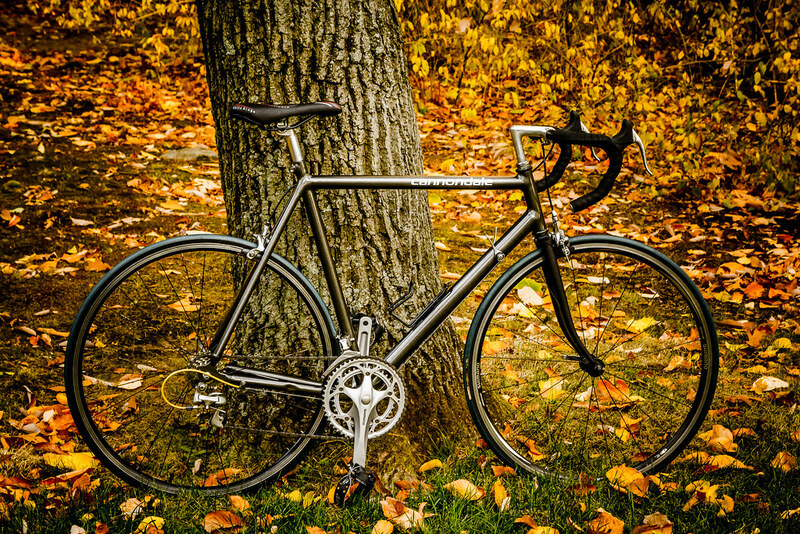 There is no other bike like it when it comes to hillclimbs and blazing out of the saddle sprints. It gives no quarter. 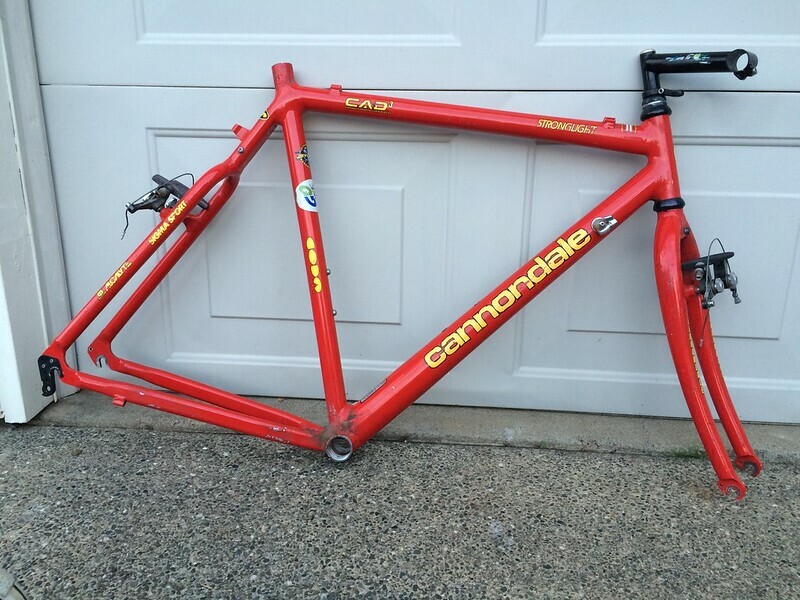 Cannondale XR800, bought as a frame with Paul cantis for $75, Shimergo 3x9 drivetrain. This is my daily commuter but has not yet achieved its final form. 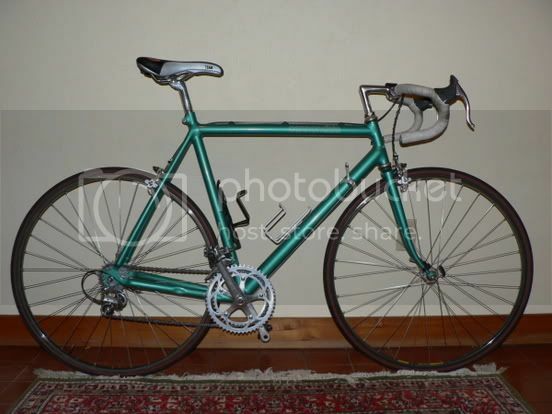 On the list are pedals, different handlebars and better and not tanwall tires.